Training Brisbane focuses on training for creative industries. We teach best-practice skills in design applications across multiple areas: video, print, web, iPad, and Mac. We come to your home, workplace or school, training you one-on-one or in small group classes. Our focus is on helping you to use the software well. 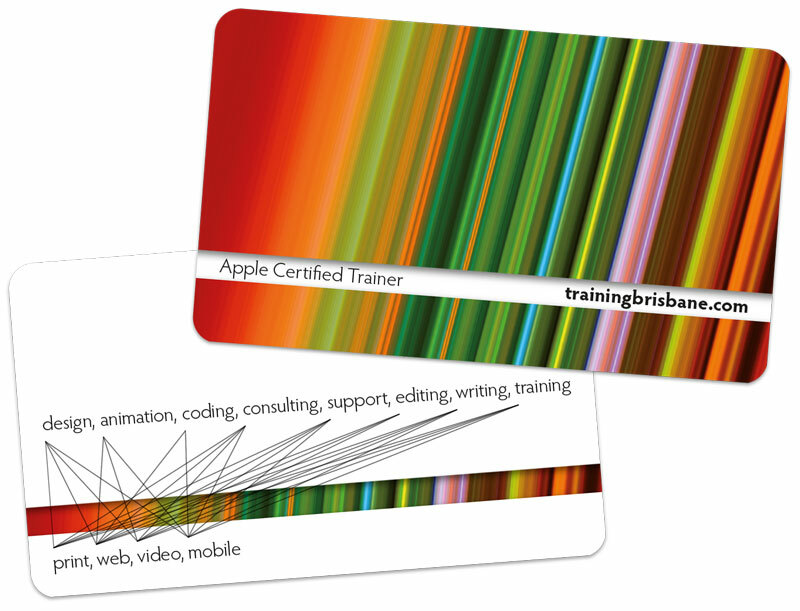 Our principal trainer, Iain Anderson, is an Apple Certified Trainer and Apple Consultants Network member. For some real examples of the kind of teaching he offers, please visit this page at macProVideo.com — Iain's FCP X training is recommended by Apple on the official Final Cut Pro Resources page — or his Creative Techniques videos on YouTube, teaching a wide variety of skills across many apps. More details on Iain's skills are available here. We are Mac-focused but PC-friendly. Apple's Final Cut Pro X, iWork and other apps are only available on Mac, but the Adobe suite is cross-platform, so we are happy to teach you on Mac or PC. We also teach a variety of iPad apps for business, education and art. Generally, we teach (and recommend learning) the latest version of the software but can teach an older version on request. Application names and icons are property of Apple or Adobe. No ownership or endorsement of this website is implied. Some functionality and visual elements may be missing in Internet Explorer and Opera.